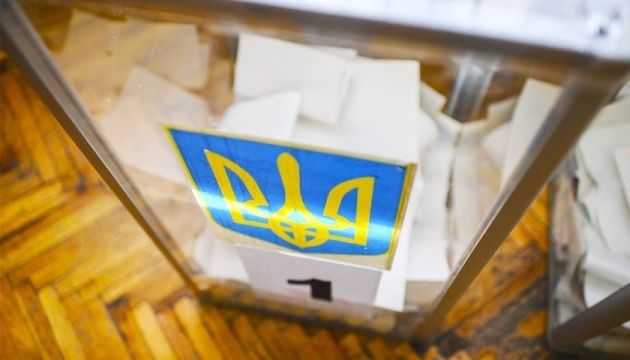 Ukraine’s 2019 presidential elections: results may be unpredictable! There are only few days left until the March 31 presidential elections in Ukraine. Preliminary results will be known on the morning of April 1, but even now one can assess the campaign in general. To a large extent, it turned out to be unprecedented for Ukraine. And it’s not just because of the historical moment when these elections take place. Too high is the degree of responsibility of those who cast a vote and those who do not come to polling stations, which nevertheless influences the result. The 2019 campaign set a record for the number of candidates for the highest public post in Ukraine. There were 44 of them registered. Now there are 39 of them after several participants withdrew their candidacies in favor of other candidates. But anyway, because of such a number of candidates, the voting bulletin will be of record 0.8 meters in length. Such a number of candidates in some way profane the idea of vote, because it is impossible to make a choice taking into account the entire list. Such is the paradox: the wider the choice is the narrow is the option. So virtually, Ukrainians will choose the future president from the "short" list of 5-6 candidates. 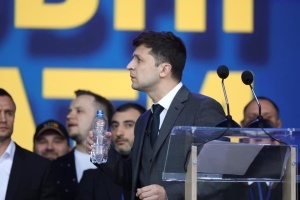 Before the first round of elections, apart from incumbent President Petro Poroshenko, the top three leaders of the presidential race include actor and producer Volodymyr Zelensky and head of the Batkivshchyna Party Yulia Tymoshenko. 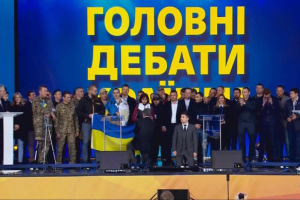 In early December 2019, a month before the official start of election campaign, Yulia Tymoshenko appeared to be a leader, being significantly ahead of Volodymyr Zelensky and Petro Poroshenko. Nevertheless, in January, Volodymyr Zelensky became the undisputed leader, as figures show. 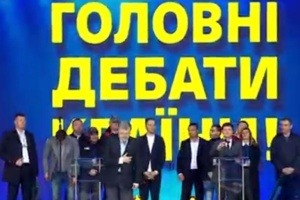 At the same time, Poroshenko and Tymoshenko alternately divide the second and third place. Over the past two months, they figuratively "breathe down each other neck,” according to the latest results of the joint survey conducted by Kyiv International Institute of Sociology, the Razumkov Centre and Sociological Group "Rating", which were released one week before the polling day, only 0.2% separates Yulia Tymoshenko (16.6%) from the incumbent president (16.4%), with 27.7% of those polled said they will vote for Zelensky. In general, the ratings of all three candidates in January-February, in the middle of the campaign, were growing but then eventually started to decline. Apparently, it seems like the society got tired from the extremely tense presidential race, which eclipsed the record number of high-profile scandals that concerned one or another of all three main candidates. - The scandal caused by a journalist probe by Bihus.info regarding corruption schemes on embezzlement of Ukroboronprom funds. - Accusations of creating "pyramids" - voters' motivating systems. - The reaction of volunteer public order patrols and criticism of the Interior Ministry’s insufficient actions. - The scandal around the Constitutional Court’s ruling abolishing the responsibility for "illegal enrichment," following a motion submitted by a group of MPs, which raised concerns about all anti-corruption efforts taken over the recent years. Now, a few days before the election, nobody can reliably predict who of the three leaders will enter the second round. It seems that this circumstance, in addition to scandals and a pile of compromising materials, causes fatigue among the society that is waiting for the outcome. But is this not a sign of the transparency of election, effectiveness and freedom of information? There are also some factors that are traditional for Ukraine, which should be taken into account when predicting election results, based on sociological findings. For example, a significant share of Yulia Tymoshenko’s supporters is believed to be concentrated in remote villages, where sociologists never reach with their questionnaires. On the other hand, sociological surveys do not take into account the level of involvement of voters. According to some estimates, the election headquarters of the incumbent president, Petro Poroshenko, more than other rivals, managed to convince voters that it is important to go to polling stations on March 31 and vote for the candidate they consider being the guarantor of Ukraine’s unchanging course. So, how accurate will be the last March results of social surveys in reality, it will be known on Monday. And the influence of those who have not decided yet is still unpredictable - about 25% of voters. The analysis of the two previous presidential elections (2010, 2014) gives grounds to say that the results of the social surveys were exactly the same as the results of the polls. The exception is the number of those who said they would not vote: in fact, the number of those who did not come to vote turned out to be 20-25% higher. So, the results may have possible surprises compared to the forecast. WILL VOTER TURNOUT BECOME A RECORD HIGH AT THE ELECTION 2019? Ukrainians at any time could check if they, their relatives or friends were included on the voter lists. But in fact, those who had not checked the lists earlier started checking them only several days before the final date for registration. As a result, a significant number of queues have been formed at local offices of the State Register of Voters’ Administration. Moreover, this year many people decided to temporarily change their voting place. This mostly concerns people from the temporary occupied territories, which is quite logical, and labor migrants living not at the place of registration. So apparently, this evidenced the credibility of sociologists' predictions about the unprecedented activity of citizens in the upcoming presidential election. Have Ukrainians really become more responsible, as instead of waiting out the elections in the comfort zone, at the last moment they stand up for the right to vote? This Sunday will give an answer to this question. The main question is: how much voting turnout predicted by sociologists will coincide with actual figures. And there may be surprises. 2014 - 60% (in a single round). Interestingly, in 2014, 79% of Ukrainians stated about their readiness to participate in the elections, according to the results of the poll conducted by of the Ilko Kucheriv Democratic Initiatives Foundation and Razumkov Centre. But, as we see, actually there were 20% voters less. The current 2019 year, according to sociologists' forecasts, promises to break all records. According to the latest surveys conducted by the sociological group RATING, 84% of respondents said they are ready to come to the polls. It is noteworthy that voter turnout is expected to be almost the same as in 1991, when Ukrainians elected the first president of independent Ukraine. where elderly people call on the youth not to vote, as they will rather decide which future the youth will live in. According to the video description, statistics show that only one third of young people aged 18-24 voted in the last parliamentary elections in 2014, with over 65% of people aged 50-59 participated in the voting. This year the situation may change significantly. 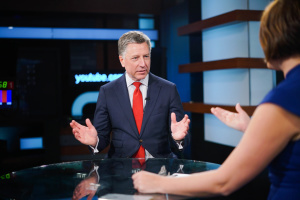 Almost all news observes stressed that Russia, an aggressor and a fierce enemy of Ukraine's independence, does not count on any particular "own" candidate. The Kremlin’s candidate is Mr. Chaos. Moscow is waiting for the destabilization of Ukraine, irreconcilable disputes and scandals in various groups of Ukrainian society. Russia needs a cause to announce either the non-recognition of elections or that Ukraine has failed as a state, and thus it needs control from the outside. Actually, Russian informational activity was aimed at this over the last six months, in particular, the last three months, when the election campaign officially was launced on December 31, 2018. How much will this plan succeed, it is better to judge after the voting day, according to its outcome.